After culling through the Mansfield Library archives at the University of Montana, the Radius Gallery set upon several dozen photos reflecting Missoula’s past, including the early days of the downtown Mercantile. One image depicts a day in 1908 when circus elephants paraded down Higgins Avenue. Another recounts two Native Americans dressed for dancing in 1936. A third captures a moment in 1890 as women worked the millinery department at the Missoula Mercantile Co. The photos represent one of four components of a permanent art installation planned for the new Mercantile hotel on the corner of Higgins and Front Street. Each of the hotel’s 175 guest rooms will have two historic photos, arranged in a combination to ensure no two rooms are alike. The hotel’s public spaces, including its Mews, will include 22 historic photos hand-picked for the stories they tell. Neal considers the opportunity to adorn the $40 million hotel with art as a boon to Missoula’s larger arts community, and the program extends beyond historic images taken from the Mansfield Library. 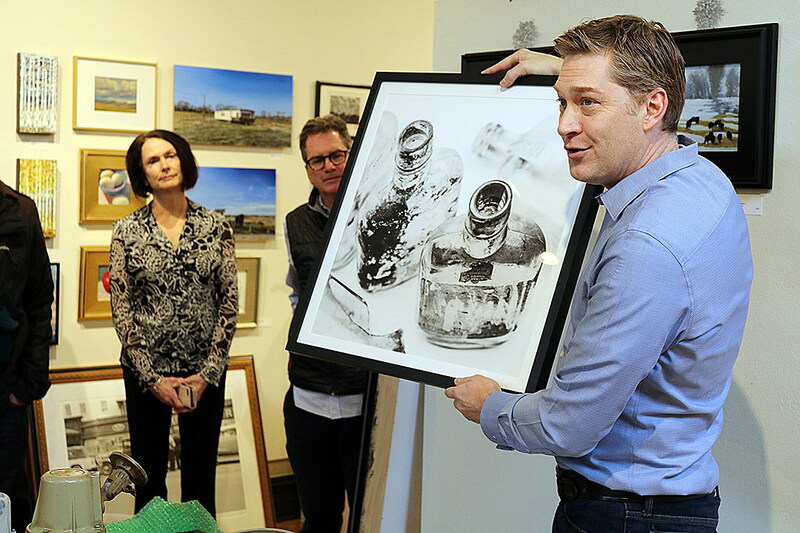 The Radius Gallery hired local photographer Tim McLain to capture old bottles, tins and tools taken from the Mercantile before its deconstruction two years ago and display them in a series of contemporary images. During deconstruction, they also came across old posters, including ones touting seltzers promising mysterious cures to common ailments. One of those remedies dubbed Peruna – a cure for “catarrh” – was embroiled in scandal in 1915 when it was revealed that it cured nothing at all. 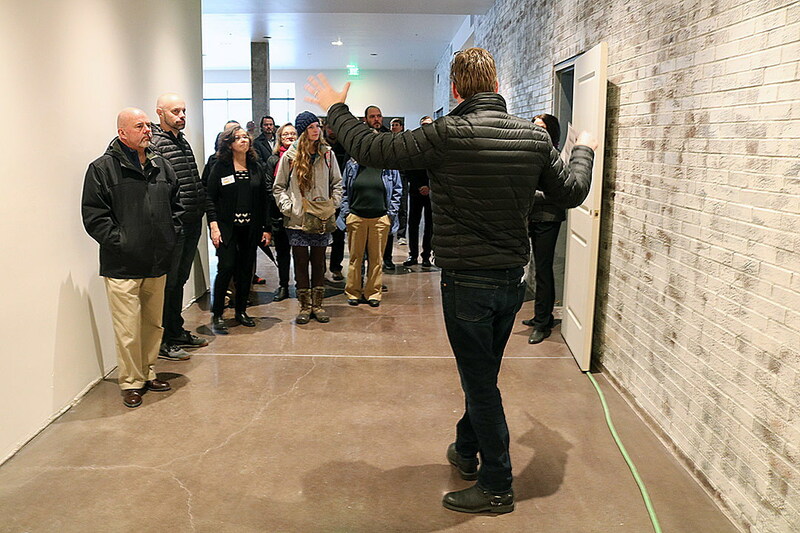 The new building blends elements of the past in a contemporary design, and has commissioned contemporary art by living Montana artists to punctuate the modern. They include Ben Pease, Trey Hill, Tim Nielsen and Lucy Kephart, among more than a dozen other artists. Neal said the gallery was up to the challenge and many of the works remain in progress. While the work will hang throughout the rooms and expansive lobby, the Mews running the length of the hotel’s interior will serve as an art gallery. It will be open to the public – accessible from Higgins Avenue and a number of restaurants and bars set to occupy the hotel’s ground floor.